For the UK release of the film Pin Cushion, Intro commissioned Illinois based artist, Felicia Olin to paint a portrait of lead actor, Lily Newmark. 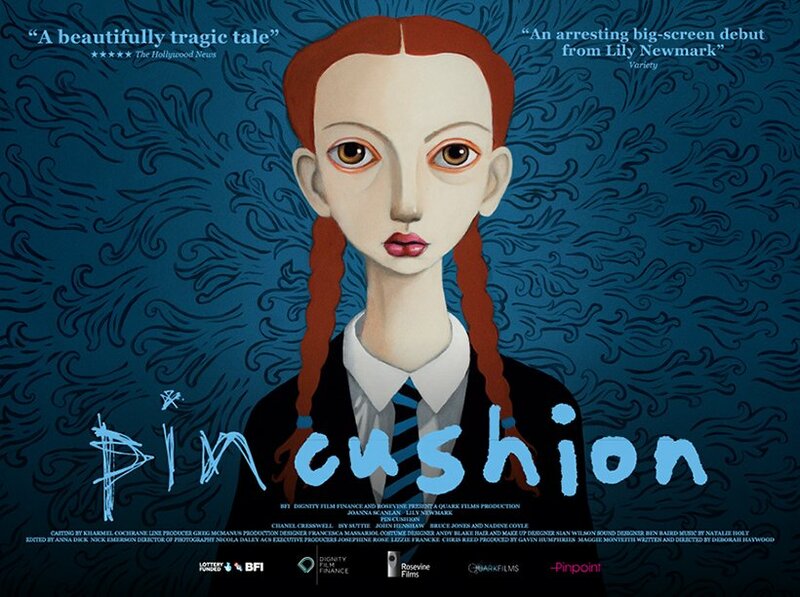 Drawing on the unique, eclectic style of Lily’s character, the naïve aesthetic results in a striking and slightly haunting image. Upon seeing the result, the film’s director, Deborah Haywood declared that she liked it so much she wanted the portrait on a duvet cover!